WIP Wednesday – Bitten by a Hellcat (Eternal Mates Paranormal Romance Series Books 6) and more! I missed last week, but I’m back this week with an update on what book I’m working on. 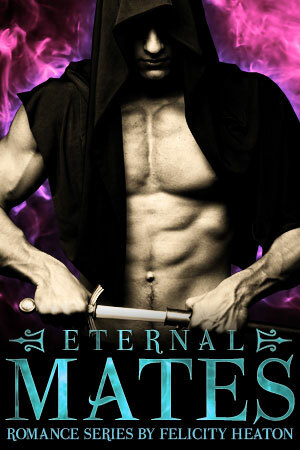 Having completed the first drafts of the next two books in the Eternal Mates romance series, I set about planning the book that follows them last week. That’s the book that will be #6 in the series, and its title is Bitten by a Hellcat. Bitten by a Hellcat kicks off around the same time as Hunted by a Jaguar, and begins in Underworld, which is Kyter’s bar. The hero of the book is Owen, who is a very legendary hunter but he doesn’t work with Archangel, and the heroine is Cait, who is a shifter. I’ve just completed the first draft of this book, and it’s around 45000 words, which is good for a novella. That’s around half the length of the novels in the series. Next up, I’m planning and then writing book 7 in the series, which will be Taken by a Dragon. I’ll also be editing Hunted by a Jaguar and Craved by an Alpha and getting them ready for release. There’s a chance I could release them about a month earlier for each release… but it depends on how I go with editing Hunted by a Jaguar and writing the first draft of Taken by a Dragon. It might be that I end up releasing the books closer together rather than shifting the release day for Hunted by a Jaguar into this year. Now, how about a sneak preview snippet from Bitten by a Hellcat? This is from the first chapter, when Owen is watching Cait dancing in Underworld, Kyter’s nightclub in London. Posted in Bitten by a Hellcat, Craved by an Alpha, Eternal Mates, Hunted by a Jaguar, paranormal romance, shapeshifter romance, Taken by a Dragon	| Comments Off on WIP Wednesday – Bitten by a Hellcat (Eternal Mates Paranormal Romance Series Books 6) and more!